The Nudgee Golf Club north of Brisbane received their much anticipated approval from the Brisbane City Council this week to proceed with the redevelopment of the course after the government forced reduction in course land. 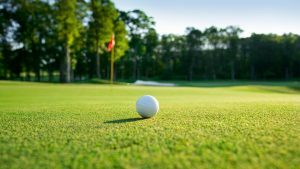 The club lodged the application to redesign the golf course in October last year after the club lost four of its 36 holes when the Federal Government resumed 8.84 hectares for the Gateway Motorway upgrade a few years earlier. With funding assistance from the Department of Transport and Main Roads, the now approved proposal suggests to replace the holes lost, which will require a total redesign of up to 70 per cent of the current 85.82ha site. Club President Paul Rigby said he had been waiting a long time for the good news and that the future was now bright. “This has been a long wait for the Board and members but we can now finally see some action,” he said in a notice to members. Designed by James Wilcher of Golf by Design, the Operational Works proposal is for the remodel and reconstruction of the golf course over 7 stages. The development will see significant changes to the current 25 holes, and will reinstate the course to 36 holes of a comparable standard to that pre-existing the resumption. The reconstruction will require bulk earthworks, fill and excavation required to shape the new fairways / greens. “I think it’s going to be a great facility for the northside of Brisbane. There’s a great opportunity for us now and we’ve engaged a course designer who’s built some of the top 50 courses in Australia,” he told the courier mail last year. “(The resumption) had a huge impact upon our club. CQG Consulting ecologists have been assigned to handle the ecology of the new course. The agency has prepared findings, recommended management strategies and rehabilitation areas (totalling 54,478sqm) to meet the ecological value objective. Staging of the new golf course design prioritises the areas of greatest change or new holes are created with current unutilised land. The club will schedule an information night late next month in order to inform members and to hear from James Wilcher first-hand about his final ‘tweaks’ to the course design and what members can expect to see over the coming months.